If you are Betfair trading on a football (soccer) match or regularly deploy any one of the many football trading strategies available. You will probably rely on a feed from the stadium and some statistics, you could consider this a form of technical analysis or perhaps fundamental analysis? Of course, knowing this will significantly improve your chances of profiting from football trading. If you are laying the draw and the away team looks like they are going to score that’s vital information if you can’t watch the match directly, but also many price movements will occurring based on how the match is playing out. Whatever your type of trading, whether you are buying or selling risk at a football match, or just looking for a free bet. How the match unfolds is key information you can act on. 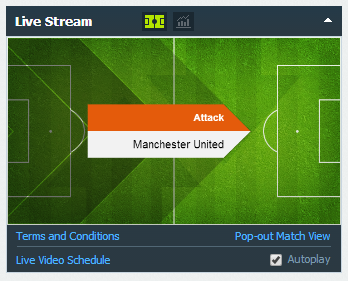 Visit the Betfair football section of the betting exchange or even that of a big betting site like Bet 365 and you often see a little graphic detailing what is happening on the match. When you look at this graphic, it is telling you things like ‘Dangerous attack’. Corner, substitution or goal. Lots of bookmakers use this service now and a lot of them, including Betfair, use it to manage markets automatically. When Betfair suspends markets unexpectedly for ‘technical reasons’, it’s often the live feed of statistics that is causing a suspension. If you ever wondered where this info comes from, or why a match ‘losses its feed’ or experiences ‘technical difficulties’ read on…..
I’d always been keen on punting in the past but having experienced the highs and lows of trying to gamble for a living. 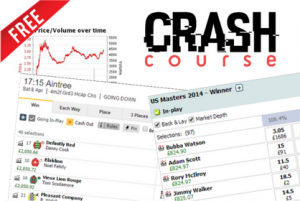 Being a professional gambler seemed like a distant dream until I came across Betfair trading. But short-term, in a couple of years while I was attempting to make a living by trading on Betfair, I managed to get some part-time work as a Football Scout. The company I worked for provided real-time sports data to bookmakers, betting exchanges, professional Betfair traders and other businesses in the gambling industry. They employ ‘scouts’ to attend football matches and other sporting events to input data into a small mobile device from the inside the football stadium. I came across the job advert whilst looking for some part-time work through the various online job sites. After applying for the job I was contacted by the Area Manager. We had a chat about the role and if I was still interested I could go ahead with the training. Firstly you have to read a manual which explains how to operate the small mobile device they send you which is used to input the data. After I had learnt the commands and the correct procedures, which took about a week, I was given a match to be tested on. It was a recorded match from a few years back. I did the first half and then he gave me some feedback on mistakes made and so on. After a couple more matches I was ready to attend my first game. The mobile device arrived in the post and I have given some account log-in details. When you log-in there’s a list of matches in your area, once you have chosen a match you then have to purchase the ticket yourself. That’s great if into Manchester United, Chelsea, Real Madrid or Man City supporter or the like, you get paid for watching big matches. But less interesting if you are further away from the big clubs. I wasn’t really expecting to have to use my own money, I thought I would be sent tickets, to be honest. That was a bit of a drawback because not only are you purchasing tickets you’ve got the petrol/train costs also. They do cover your travelling expenses, it’s just having the funds to cover this until payments are made which isn’t ideal. At the time I was being paid £50 per match. You only receive the full payment if no mistakes are made. They list all the potential mistakes and put them into categories. Your payment isn’t affected if minor mistakes are made as long as you follow the correct procedure to rectify them. Whether it’s the premier league or some other division, Prior to the match starting, I’d log into my device, then start the match on the device as soon as the ref’s whistle is blown and begin to tap in the commands for every incident that takes place in the match. The game went well, no major mistakes made but there was a couple of connection problems. When you lose connection you receive a phone call from an employee. As you attempt to log back in and find a connection you have to commentate on every event in the match on the phone. This can be a bit embarrassing. It’s not long before you can hear the supporters around you reacting to seeing someone on the phone saying ‘safe, danger, shot on goal, safe, goal kick’. Apart from the odd embarrassing moment, I enjoyed the first few weeks as a football scout. I asked if I could attend more matches, they tend to only allow you to go to 1 or 2 games a week but I wanted to make it a little more ‘full-time’ if that was possible. The standard of my reporting had been pretty good so far and I hadn’t made any huge mistakes so my manager agreed to allocate me a few more matches. I ended up doing as many as 5 in a week. How to screw things up! I was getting a bit cocky and had 2 games to attend in one day. No problem I thought, two reserve games, one kicking off at 2 pm and the other at 6 pm. The stadiums were about 45 minutes apart. I got to the ground and settled into my seat. As I was logging in I heard that the kick off was going to be delayed. The team coach had broken down! After an hour there was still no sign of their arrival. At this point, I should have rung them and let them know I was going to struggle to attend the 2nd match but the gambler in me decided to take a chance and so I just sat there biting my nails hoping they would turn up soon. Fortunately, they did and they got playing fairly quickly……it was still going to be tight though to make it to the next game. Towards the latter part of the match, I started getting my stuff together. I began to walk down the side of the pitch, there was only a couple of minutes left now. I got my phone out to check the time and started to weigh up how long I had to get to this other game. Whilst I was deep in thought….a goal was scored! I quickly tapped the ‘goal’ command into the device. In horror, I realised that I’d awarded the goal to the wrong team! What should I do now? Own up to my mistake by ringing the Austrians would be the sensible option, but oh no……I had to try and get away with it! I pressed the ‘goal disallowed command. Right…if I give a free-kick then wait a few seconds, then input a goal to the other side…that may work. There are only 10 people here watching this, no-one will ever know. …..there was a long pause before I replied with another sheepish ‘yes’. He made out as though it was all fine but we both knew it was a load of bull. I made my way to the next ground feeling completely stupid, guilty and worried. I managed to get there just in time and complete the match but that didn’t make me feel any better. I knew there would be an email on its way, and the next day there it was. It was from my manager….basically querying the incident. I decided to own up to my mistake which resulted in him losing all trust in me and my work. I had to accept ‘no pay’ for the match and I had basically blown my chances of continuing to cover the number of games I had been given. My record before this was good but now I had ruined the good reputation I had built up as being reliable and efficient. Lesson learnt; honesty is the best policy! I don’t want to end on a sad and depressing note so I want to tell you about a funny story. It was a reserve game against Arsenal. There were about 100 people there watching. It was coming to the end of the first half and I noticed a guy had turned around from a few rows in front. I soon realised it was Phil Brown, the ex-footballer now manager. He was smiling and nodding my way, so I turned round to see who he was looking at. I was on the back row and there were quite a few empty seats next to me on either side. He must be looking at me, I thought. A few seconds later he turned around again and said ‘how’re things?’. I waited a moment to see if anyone else answered first to save myself from any embarrassment. No-one did so I just replied with ’yeah, good thanks’. He then got up and made his way over, sat next to me and began to make chit-chat. There were a few kids gathering round someone at the front who had just walked in. It was Roberto Martinez & Peter Reid. He signed a few autographs and then Phil (as I can now call him as we are best buds!) acknowledged them both. They came up to where we were sat and they both shook mine and Phils’ hand. They must have thought I was somebody, as I was with Phil….a scout or coach or something. Martinez and Reid only went and sat on the other side of me! I was sat in the middle of 3 fairly famous people in football. It was fantastic, I heard some really personal stuff about players/managers in between occasional rants and outbursts of swearing from Reid. As you can imagine I didn’t say too much but I was managing to ‘wing’ it and was quite enjoying myself….mingling with the stars. Then I began to panic as the start of the 2nd half was looming. I couldn’t get this device out now and start tapping away. I was supposed to be somebody in the world of football, not a part-time data inputter. It would be so embarrassing for me and especially for my mate Phil as he would finally realise he didn’t know me at all. As the players came out for the second half I was planning to say I was going to the toilet and then go and hide somewhere but through a stroke of luck, I didn’t need to. A few more kids started to make there way up the steps with autograph books so Reid suggested they should make a move inside. There was a ‘well it was nice to see you again’ from my mate Phil as they headed off with the group of kids following them. I got the device out and quickly tried to catch up with the game. I was so relieved. To this day, I have no idea who Phil thought I was! The Bet Angel team is made up of a mix of traders, statisticians, ex-sportspeople, financial market, and former bookie employees. With one thing in common, we all love sports markets and sports trading! Members of our team come from a variety of backgrounds but with one thing in common, there were all Bet Angel customers at some point and made the transition into full-time trading and our team. Our illustrious leader joined Betfair right and the start and was a pioneer of sports trading and Betfair trading software.